Capgemini’s digital CX ecosystem encompasses the key portfolio of partners with which we go to market. This partner ecosystem, together with Capgemini’s expertise in strategy and digital technologies, targets digital solutions to help enterprises gain business agility in their business transformation journey. Pegasystems is one of the key CX strategic partners as part of the core platforms strategy. Capgemini and Pega have been working as a team for over a decade to transform the service and operations of our clients to drive business value throughout their customer supply chain. Together, our ambition and commitment are always to ensure excellence in sales, marketing, service, and operations. Capgemini and Pega have been solving the business issues for our clients across banking, insurance, capital markets, and healthcare for over 10 years. Our partnership has grown at speed to address case management, complex BPM, and, increasingly, CRM solutions such as marketing and sales automation. Our relationship has matured to address manufacturing, life sciences, hi-tech, telco – and we have over 1,500 Pega-skilled professionals. Merchant Onboarding offers a swift mechanism for acquirer banks to onboard merchants. Features include tracking merchants, stores, and terminals; establishing merchant hierarchy information, such as corporate, regional, or associate; multi-channel payment processing, and complex search functionality. Commercial Lending Solution systematically integrates credit policy into the origination process, ensuring improved transparency and compliance through a standardized, managed process and an integrated audit trail. Customer Insight in Action collects social data and applies adaptive decision models to auto route cases to respective teams. It calculates and approves retention budgets, uses a next-best action approach to select right channels, uses historical data to identify and recommend the most effective customer retention strategy, and recommend the most suitable up-sell and cross-sell offers. Detect to Resolve prevents operational downtime and the risk of ensuing costs by using automated predictive maintenance analytics. It identifies the data points that indicate when an industrial machine is about to break down. Customer Partner Digitization transforms ineffective and mismanaged channel partner programs. By automating the channel partner sales processes, it provides intelligent digitization and a better customer experience. Analytics and Social Media Connect engages your customers through social media and provides the best offers at regular intervals based on their spending pattern. Connected Banking helps our clients tailor unique offers that increase customer satisfaction and revenue while improving overall employee effectiveness with customers. Appeals and Grievances in healthcare uses an industry-leading business process management platform to increase customer satisfaction and reduce operating costs. It can improve SLA compliance and boost quality with process controls and transparency. Next-Best-Action Marketing and customer service integration in healthcare provides a personalized and differentiating customer service to drive retention and loyalty. Powered by Pega’s Customer Decision Hub/Next-Best-Action Marketing, our solution enables healthcare organizations to tailor each customer interaction based on specific background and persona data. Digicare engages patients in their own healthcare journey to better observe their treatment and care pathway. The patient-centric solution supports the whole journey, whether it be for a general practitioner, patient or healthcare platform owner. FATCA solution facilitates compliance with the US Foreign Account Tax Compliance Act. 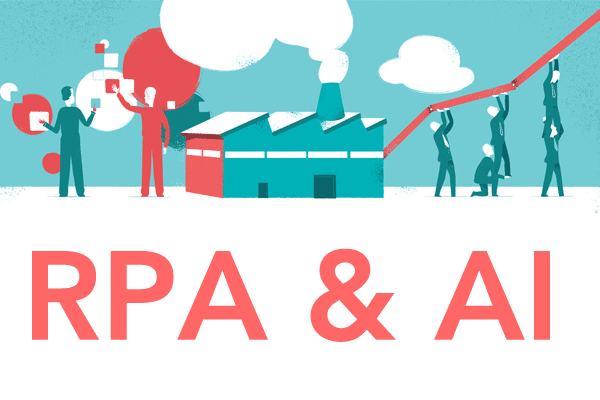 To create a unique, end-to-end solution for FATCA compliance, Capgemini has partnered with DLA Piper, a premier global business law firm, and Pega to help financial institutions address the business, legal, and IT requirements for FATCA. Citizen Services Solution (CSS): Today’s public citizens and businesses expect a retail-grade, multi-channel experience that’s as efficient as the innovative private sector services they’ve become used to. CSS addresses this by seamlessly interfacing with existing applications and providing government organizations with a complete view of their constituents and suggested next-best action. Meet us in the Tech Pavilion to see our latest solutions and demos, and discuss how the combined power of Capgemini and Pega can solve your business problems and give you the competitive edge. 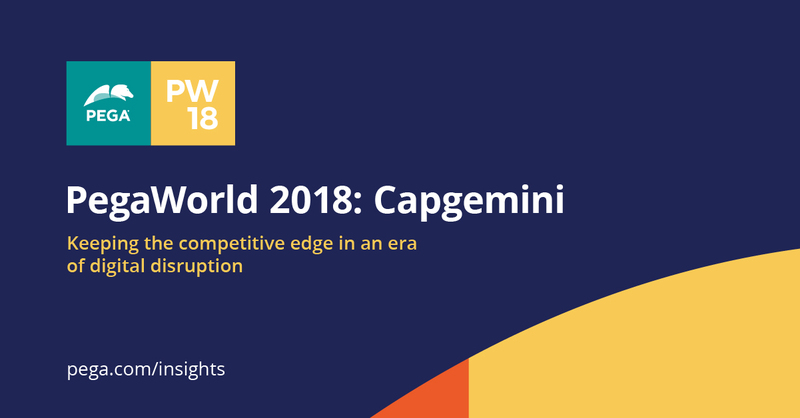 Find more details on the PegaWorld 2018 Agenda page. Enabling digital transformation of business operations through the power of Pega: Sapna Garg, director of IT, Global Customer Success & Services for Cisco, and Sid Kapila, vice president and hi-tech portfolio leader for Capgemini, discuss how Cisco, in partnership with Capgemini, has driven customer success in Cisco Services by digitizing high-value use cases in CRM, supply chain, and support. Predictive Services for Customer Engagement (PSCE): Increased consumer expectation, changes in behavior, a growing number of touchpoints, and more data equal an ever-changing and complexifying market. PSCE helps cut through this complexity and maximize customer value. By anticipating a customer’s next step, it enables tailored and personalized experiences – fostering brand loyalty, satisfaction, and advocacy.